In the class I teach at Indiana University, use a classic piece on communication early in the semester to set up conversations with the students about the processes and parts of communication. Part of the chapter is a four-part explication of what has to happen for communication to have a chance to have the effect you desire. You must gain the audience’s attention. You must use a set of “signs” that the audience can understand and that the audience interprets in the same way you do. You must evoke a need within the audience. You must give the audience a way to act or respond that is possible for the audience. In both the chapter and the class conversation we talked about the fact that communication almost never has the effect we intend if we do not start from where our audience is. You need to start within the beliefs and values the audience already holds and then try to move them toward the goal. None of this is new or revolutionary, which is why I use it with sophomores. But it does get me thinking about the sermon as an act of communication. I hear common sermon advice in here. Andy Stanley wrote a whole book that pretty much covers these same points. Rick Warren writes about the need for to evoke a felt need. Paul in Athens famously followed the bulk of this advice when he preached. 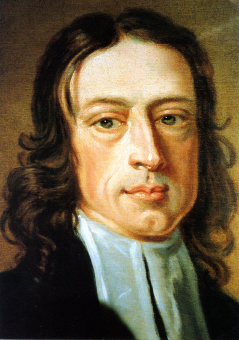 Even John Wesley shows in his journals how much he thinks about where his audience is as he determines what to preach. And yet, I am also mindful of how many voices — especially post-liberals and neo-Barthians — counsel treating the sermon as an impossibility. Will Willimon writes often about the fact that it requires a miracle for us to hear the sermon rightly. So, I wonder about the balance between technique and Spirit in preaching — and communication in general. Posted on January 11, 2013 by John MeunierPosted in Communication, PreachingTagged Communication, sermon. There IS a difference between public speaking and preaching. Prayer is the power that undergirds God’s spoken word; and preaching does not always occur in a pulpit at a prescribed time. In fact, in the Bible, most preaching seems to occur in different settings–outside of the religious institution. Biblical preaching does not seem to be planned at all; it seems to be rather spontaneous. Preaching God’s word does not seem particularly suitable to the setting of a church service. What most of us do in church on Sunday is better described as teaching. It took me a long time to learn this. I didn’t learn this at seminary, although I wish I had. Now that thought is going to stick with me, especially as I prepare to preach tomorrow. Go ahead and prepare, but I think the best way to prepare to preach is to spend time in prayer. Go ahead and study, and write; but PRAY for MORE time than you study and write. Perhaps there’s not enough time to do this before tomorrow, but pray more next week…. Great post, John. It really summarizes the difference between Andy Stanley’s approach and John Piper’s. The thing is — I find both of those men to be extremely compelling preachers. Even if I disagree with some of what Piper teachers, he can still bring me to tears. So . . . I wonder if simple excellence or brilliance or even passion is more important than technique? I think passion and brilliance and talent all are important. I try to bring passion but can’t do much about my current level of brilliance or talent, so I am interested in ways that I can (or should) do better. Just got around to reading this post. I’ve been using Stanley’s approach since 2006. To this day, the review I wrote on my blog is the most popular post I’ve ever write (by far). But I totally agree with Holly thar prayer is what makes all the difference in preaching. In fact, Holly’s comment is forcing me to rethink my prep a little.